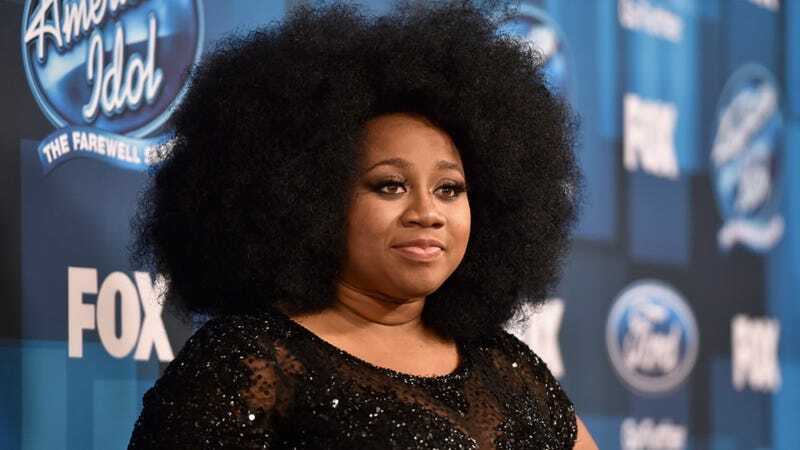 Many of us were disappointed when American Idol contestant La’Porsha Renae lost to fellow competitor Trent Harmon during the last-ever finale of the reality TV show, but recent comments the Mississippi-born singer made about the LGBT community have caused a number of her fans to second-guess their support. LGBT people are not animals! Maybe this means they’re not minerals or vegetables or other categories of non-human, either! How lovely of you to say, La’Porsha. How. Lovely. Oh, honey, there’s a big difference between tolerance and acceptance, and I think you just gave my new favorite textbook example. And utilizing tokenism (i.e, “I have a gay friend!”) does not let you get away with dehumanizing LGBT people—it just makes your latent homophobia even more glaringly obvious. Renae’s commentary is even more befuddling in light of another interview the singer had with Yahoo Music, in which she stated that intends to use her new-found fame as a stepping-stone for change—a possibility she discovered during her American Idol tenure. And because it’s the diametric opposite to these remarks, I’m going to post Renae’s response to the backlash that ensued regarding her anti-LGBT commentary right here. For our sake and yours, La’Porsha, please get woke.